This blog post is coming to you from beyond the grave. I kid, I kid, but seriously, I have been SO SICK for the past few weeks. It’s just been one thing after another: a cold, tonsilitis, a cough, pink eye, UGH. I never get sick so I guess my body is just getting like five years’ worth of disease out of the way in one fell swoop. Anyhow, I’ve been watching a lot of classic movies on Netflix. 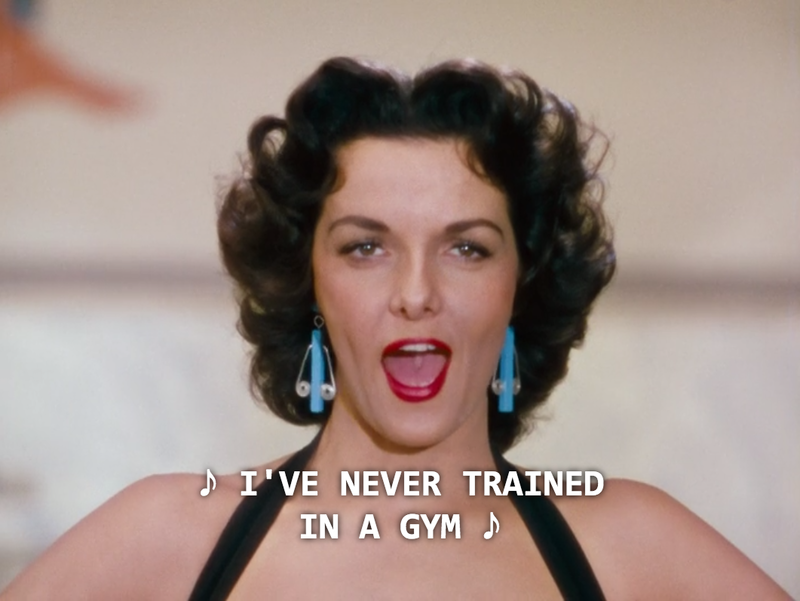 Yesterday I watched Gentlemen Prefer Blondes starring Marilyn Monroe and Jane Russell. 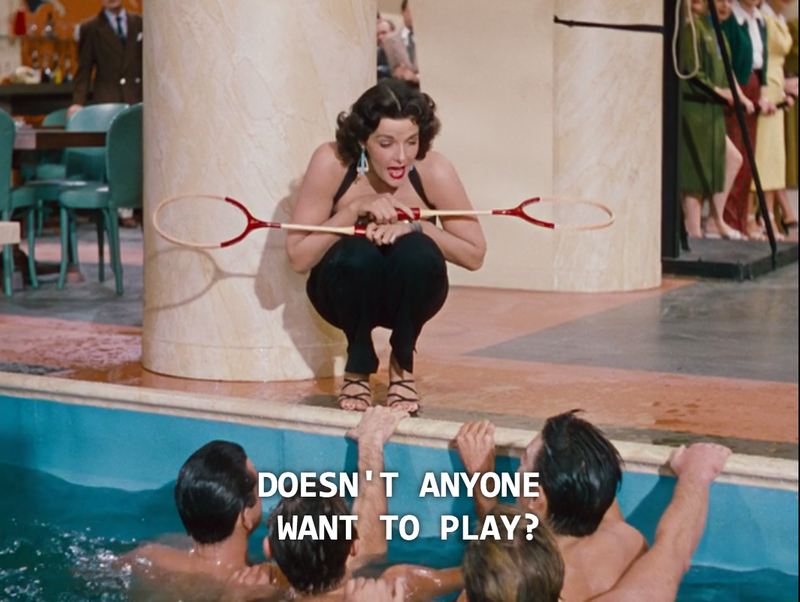 The movie is probably most famous for Monroe’s musical number “Diamonds Are a Girl’s Best Friend.” Which is unfortunate, because Jane Russell has another number in the movie called “Ain’t There Anyone Here for Love?” and it’s the bomb.com. Monroe and Russell play best friends in a showgirl act who are both single and ready to mingle. While Monroe is looking for a man with money, Russell just wants a hunk regardless of his bank account balance. While on a cruise ship going from New York to Europe, Russell goes to the gym to watch the American Olympic team work out. A song and dance commences. 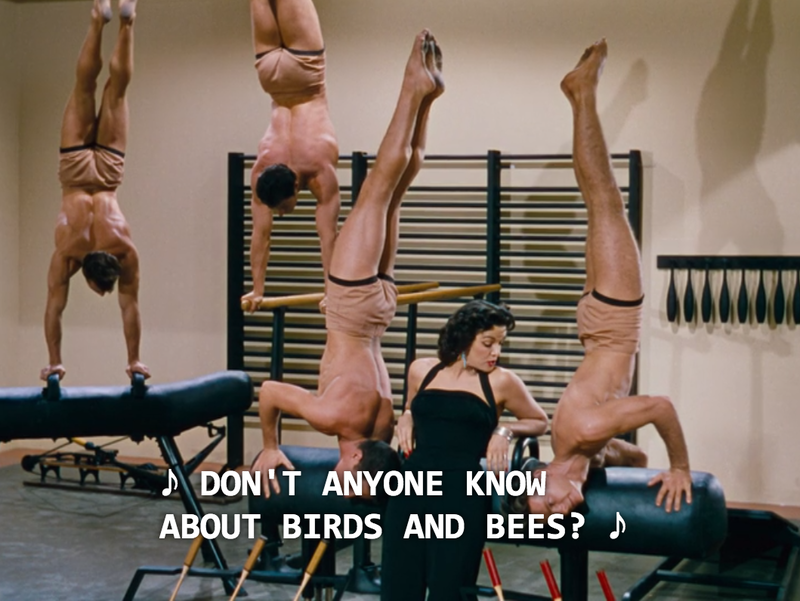 Russell sings about never working out while scantily clad men perform feats of strength. I especially enjoyed the line “I’m apathetic and nonathletic.” I think I’ll add that to my Tinder profile. Plus those earrings are dope. 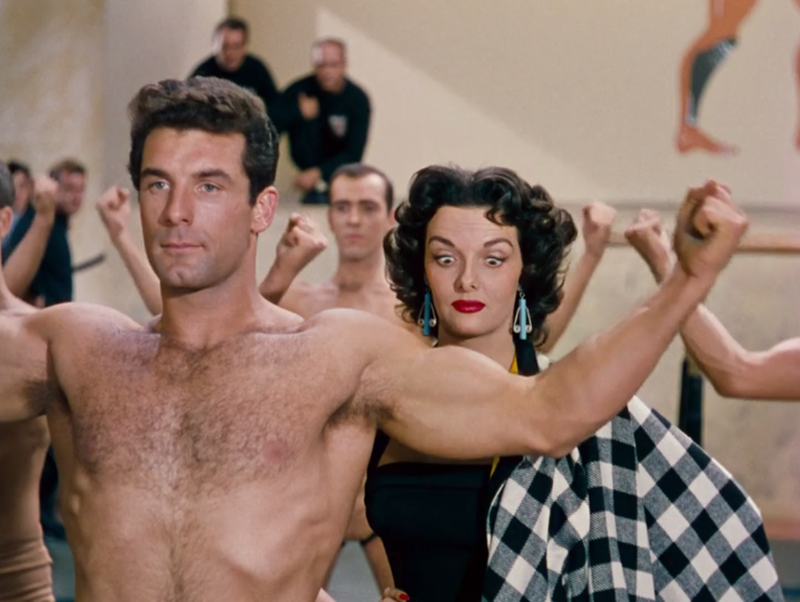 I feel like you don’t often see men so heavily objectified in old movies. Drenched, having a beverage, surrounded by adoring nearly naked men…just living the dream. You can watch the whole song here, you won’t regret it! It’s adorable.